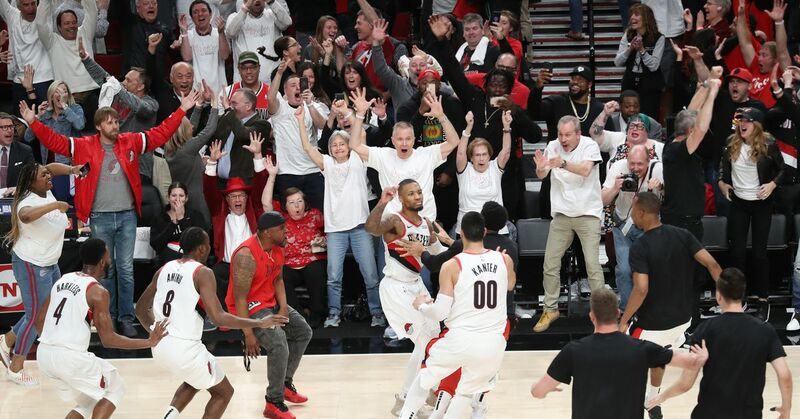 The Portland Trail Blazers won their first NBA playoff game since 2016 with a 104-99 defeat of the Oklahoma City Thunder in Sunday's first-round Game 1. Sunday's win was exactly what Jennifer wanted from McCollum when she told him to "Win a playoff game then talk" on Aug. 15, 2018. McCollum was a good sport, and the Blazers dedicated the win to Jennifer, too. Against the Thunder, McCollum posted 24 points, six rebounds and three assists. Rip City will take on Oklahoma City in Game 2 from their home Moda Center on Tuesday. Jennifer, and everybody else, will be able to watch at 10:30 p.m. ET on TNT.